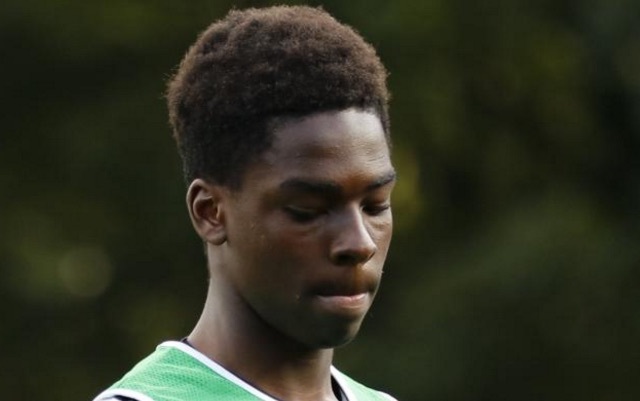 Liverpool are on the verge of completing a deal for Bury’s 15-year-old central defender Emeka Obi, the youngest player to ever represent their first-team. This is according to the Bury Times, so we’re pretty sure they’re spot on with this one. Obi is 15-years-old and stands at 6 ft. 5′ already, a mighty height for one so young. He made his debut during Bury’s 4-1 victory over Morecambe in the Checkatrade Trophy back in August and shone. Pre-contract papers have all been signed, but the only thing holding up the move is Visa issues due to Obi’s Nigerian heritage, so both clubs are waiting on the FA and the Football League’s approval. “I think he’s the best talent right now at 15 years old in the entire country,” the boss said at the time of his debut. “He only came in the building two years ago and nothing fazes him. “He’s been training with the first team and he’s going back to school next week. “We’ve had him for five weeks, training with the first team, training with Ryan Kidd and he’s been playing with the under-18s. “He’s just turned 15, he’s a man mountain, but we teach them how to play football and he’s going to be an unbelievable asset to the football club. We’re sad for Bury that they’re losing such a prized asset, but hope we can develop Obi at Kirkby with our facilities and wonderful coaching. Hopefully one day he can progress into first-team consideration like Trent Alexander-Arnold and Ovie Ejaria, but for now, the only important element is his development as a person first and footballer second.